Want to see a man-made lightning bolt? You and you family can do just that in the Lightning Room at Scienceworks in Melbourne, Australia. Here you can watch a giant Tesla Coil generate two million volts of electricity, and release them in bolts of lightning three metres long. You can learn about light, electricity and magnetism in shows that will astound you. The Lightning Room is just one of the many special features of Victoria’s premier science museum. Also at Scienceworks is the Melbourne Planetarium, the only digital planetarium in the Southern Hemisphere. This is where you can go on visual journeys through the solar system and beyond. The planetarium provides a program that uses a newly updated full-dome video projection system. Sit back and immerse yourself in the sounds and sights of the universe, as the narrators entertain and educate you and your family. 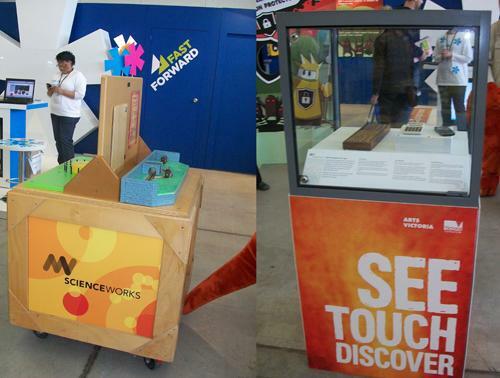 Scienceworks has other interactive, hands-on exhibits as well, to stimulate the mind of the child and the adult. Your family can learn all about the science of how their bodies function, how the appliances in their home work, and how they interact with their community and their environment. Your children can dig in the sand to find fossils, or learn about rocket science. You can even tour the historic Spotstown Pumping Station next door, which was built in the nineteenth century and still runs. There are also changing exhibitions, and a program to take certain exhibits out on tour. Scienceworks is located only five kilometres away from the Melbourne Central Business District, in the suburb of Spotswood. If you’re riding the train in Melbourne take the Werribee line and get off at the Spotswood station. Jetstar fly to Melbourne daily. 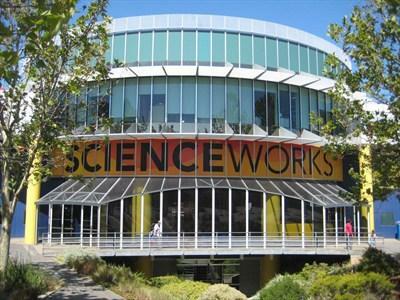 Scienceworks is just a 10 minute walk from the station at 2 Booker Street, not far from the West Gate Freeway. Scienceworks is open daily from 10:00am to 4:30pm. It is closed on Christmas Day and Good Friday. The site includes a café and shop. A picnic area and Barbecue facilities are on the grounds, as well as a nature walk and playground. Plenty of parking is available for both cars and buses. Although there is a charge for adults, admission to the museum is free for children 16 and under. There are surcharges for adults and children for entrance to the Lightning Room and Planetarium shows. Scienceworks also sponsors an Explorer Club for 5-12 year old children, which entitles them to take part in lots of special activities.